Tracey is guest posting today for Meijer's most likely to... you still have time to enter the contest ends Sept. 8. 2013. We all have big dreams for our children. We imagine them growing up to be actors and musicians and, if we are lucky, taking care of Mom and Dad after they become rich and famous! I try not to disillusion myself with these types of thoughts, but lately I’ve started to entertain the idea that maybe, just maybe, I have a future racecar driver on my hands. Garrett has always loved sports! When he was just a year old, he would play, for easily an hour at a time, just shooting basket after basket after basket into his mini basketball goal in the kitchen. 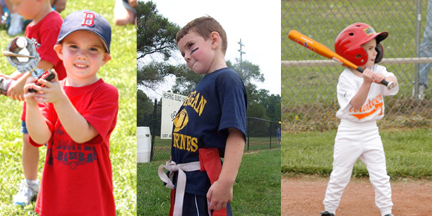 When he was 4, he started t-ball. 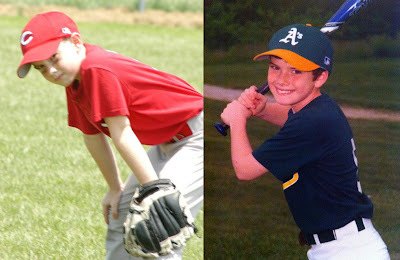 He is now 12 and has played in Little League every season since then (even 2 seasons one year!). When he was 5 he played his first year of Flag Football and over the course of about 5 years, Garrett was able to put a few seasons of basketball under his belt, as well. In the winter, he plans to play again and is also considering his first season of Track & Field. But even with his wide array of sports interests, there is one sport that stands above the rest. It’s more than just a sport, it is a passion and it is his life. And that is racing. Garrett’s obsession with racing began at an early age. At just 2 years old, he could easily identify and name many well known Nascar drivers, their numbers, and their sponsors. Of course, over time, his knowledge of drivers grew, as did his drive to become one of them. 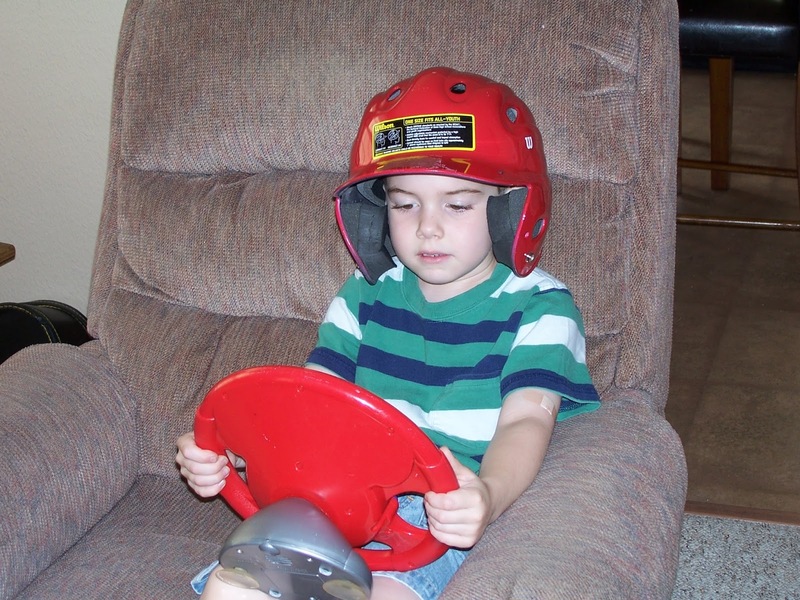 At 6 years old, it was evident that, if he were to realistically pursue this consuming desire to speed around turns at an alarming rate, and maneuver through tight packs of cars and thrill-seeking drivers at speeds nearing 200mph, that he would have to begin perfecting his craft at a young age (what were we thinking!??). 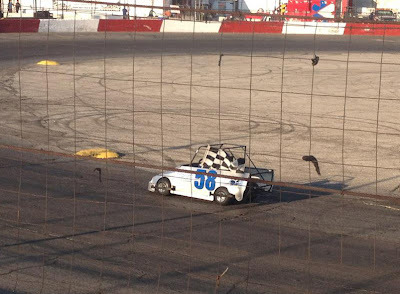 It just so happened that his father and I both had ties to a local race track that starts children (as young as 7 years old) as drivers of Junior Faskarts, an entry level racecar designed to allow beginning drivers an opportunity to gain racing experience at a young age. And so began his journey into racing, with a real car, real gear, and real sponsors. It isn’t the cheapest endeavor, and at this level of racing no prize money is awarded, so he hasn’t been able to race in every season. But he definitely seems to have a natural ability behind the wheel and has placed well in the heats and features that he has participated in. Some even ended with the honor of driving the track with the coveted checkered flag in his proud, determined hand. Garrett doesn’t just work hard on the track. He also works hard in the garage, helping his dad tweak and repair his car between races. And most importantly, he works hard in school. 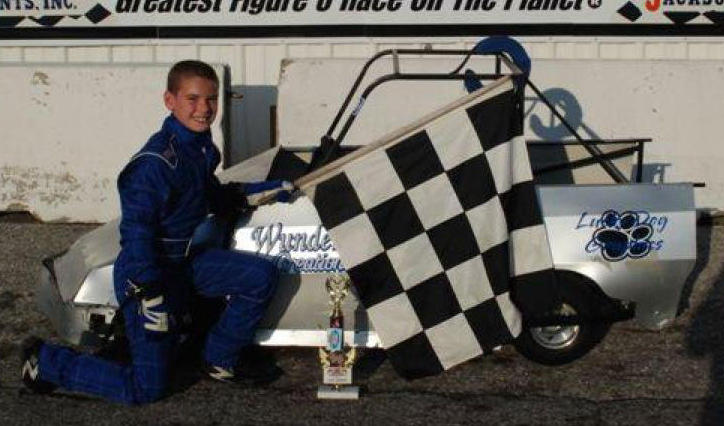 In order to race, he has to keep his grades up and do well in class, which he has done an excellent job at maintaining. Meijer has also been there to help us in keeping him successful in school. We always know that we will be able to find the supplies he needs for the coming school year, his after school sports, and even those Nascar shirts he loves! As Garrett climbs the ladder of racing divisions, he will gain knowledge and experience that will help him succeed on the track. He has even begun dreams of going to college to learn the science behind the sport and we will have Meijer beside us every step of the way to help with whatever he needs to become successful on his journey. Do you have a child that is “Most Likely to…..”? Then enter them in Meijer’s “Most Likely To” Photo Sweepstakes for your chance to win 1 of 25 $100 Meijer Gift Cards! Simply visit http://bit.ly/MeijerMostLikelyTo and submit a photo showing what your child is most likely to be when he/she grows up. Meijer most likely to photo sweepstakes.